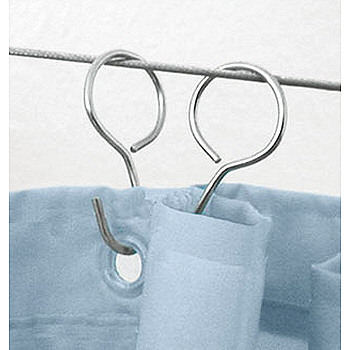 Durable long wearing non corrosive chrome S hook shower curtain rings. 12 pieces in a set. Standard tub width shower curtains have 12 eyelets. Recommended use with wire shower curtain rods. Ring diameter is .75in. Easy to install. Just hook into the eyelet of your shower curtain.